Episode 3 Show Notes: Shopping Secondhand for a Year: Could You Do It? In episode 3 of our podcast (Hashtag Thrift Goals), we talked about setting personal thrift goals for the year. My goals were pretty straightforward: I want to set and stick to a monthly spending limit and update my “thrift route,” by switching up my thrifting routine. I tend to go to the same 2-3 local thrift stores and this year I want to explore new ones and revisit some of my old favorites. My co-host Shannon, however has a more ambitious goal: she wants to shop secondhand for almost all of her needs for the entire year. We took time in this episode to explore what this would look like for her. Shopping secondhand is a great way to be more intentional about your purchases and the more you do it, the more it becomes intuitive and second nature. Organize your home, closet, or space in a way that makes sense to your life. That could mean de-cluttering a space, putting things into storage, or simply restructuring. Either way, starting with a clean space prevents you from buying unnecessary things at the thrift store. Organize your home, closet, or space in a way that makes sense to your life. That could mean de-cluttering a space, putting things into storage, or simply restructuring. Either way, starting with a clean space prevents you from buying unnecessary things at the thrift store. What are you buying now? What have you purchased in the last week, month? Can you buy most of it secondhand? Are there any limits to your goal? Are there certain things you won’t buy secondhand? It’s important that you set realistic expectations and be very honest about what you’re actually buying so you can set yourself up for success throughout the year. How do you spend your days? What does your social calendar look like? 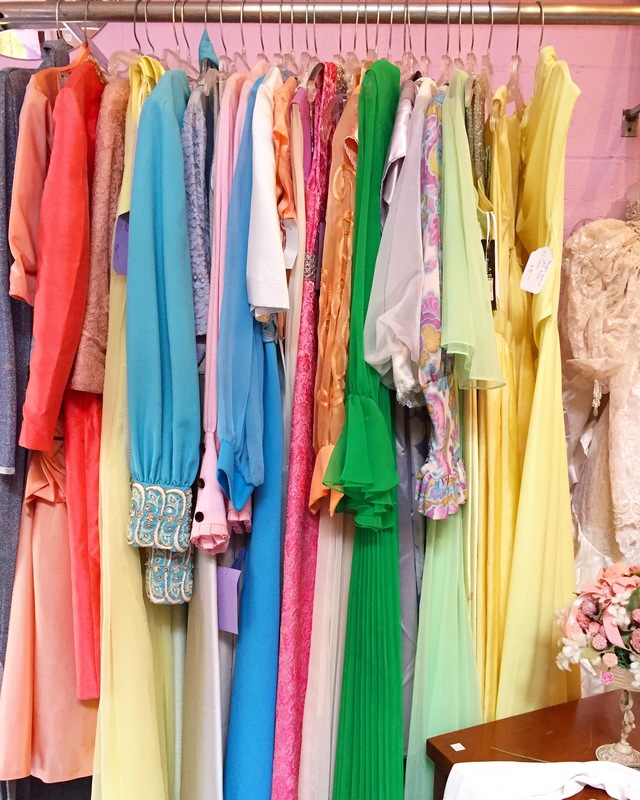 By answering these questions you will be able to clearly identify what your closet or home actually needs, in turn avoiding unnecessary impulse purchases at the thrift store. Here’s a great resource on why you might feel like you have a closet full of clothes with nothing to wear (this is the quote we referenced in the podcast episode). Separate your list into three sections: Need ASAP (these are your meat and potato items); Need but willing to wait; and Need / Want and worth hunting for, no matter how long it takes. Once you begin adding things to these lists, make it a priority to go to those particular sections first at the thrift store. These are 2-3 stores that you frequent all of the time. Be sure to update or refresh your route once in a while to keep the thrill of the hunt alive!